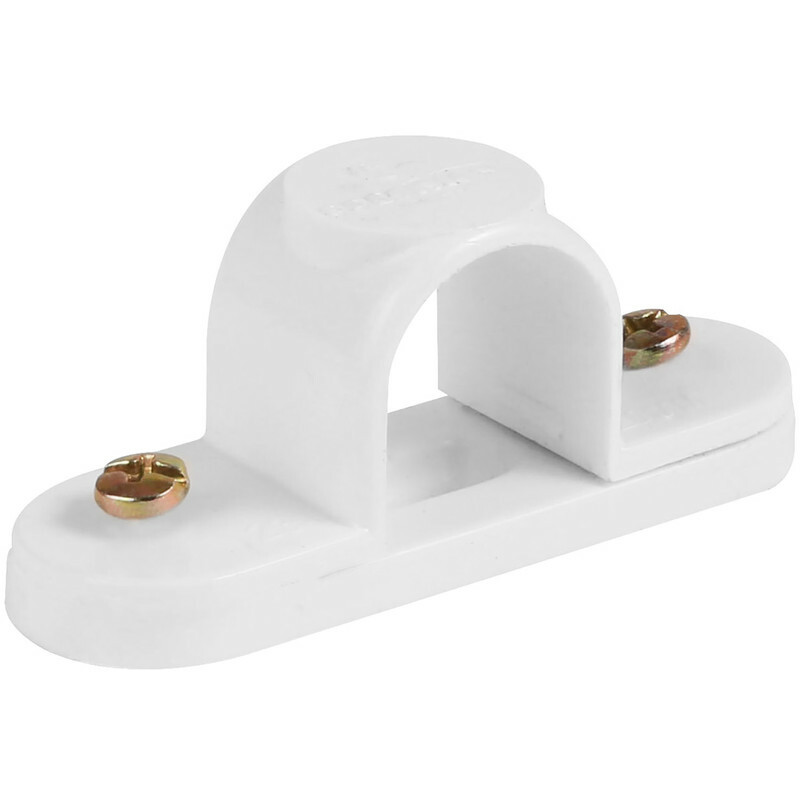 20mm PVC Spacer Bar Saddle White is rated 5.0 out of 5 by 5. Rated 5 out of 5 by gazz62 from Does what it says on the tin. Very simple to install and makes the whole installation look professional. Rated 5 out of 5 by Insidecentre from Good product. Not much you can say about a saddle. It does the job. Rated 5 out of 5 by GK13 from Multipurpose! I use these for flexible conduit but also for keeping garden hose tidy against the fence! Rated 5 out of 5 by Sols from Space Bar Saddle just what we wanted, good quality product. Will recommend this item.